Both the east and west branches of the DuPage River feature an ever-growing trail system that is becoming one of the best in the area. When looking at the map of the DuPage River Trail, you’ll notice that it includes at least 10 different park districts, forest preserves or taxing authorities of some kind. Which makes it pretty amazing that the trail has come together so nicely. The mostly paved trail that follow both the east and west branches of the DuPage River forms a giant Y with Naperville’s Knoch Knolls Park at the junction where the two branches of the river meet. Once again, looking at the map, you’ll notice some dotted lines, which indicate a proposed section of the trail. So the trail is still a work in progress, but what’s been finished is already impressive, particularly along the west branch of the river and into DuPage River Park in Bolingbrook. The trail starts as a spur off of the Illinois Prairie Path just east of Winfield Road and South of Butterfield Road in Warrenville, Ill. , in the Warrenville Grove Forest Preserve. From there, it follows the DuPage River south, underneath I-88 and into the McDowell Grove Forest Preserve. You’ll cross Fawell Dam just north of Ogden, and take the trail down the other side of the river as it continues south. This section of the trail is mostly tree-covered with some exposed river views. South of Ogden it opens up a bit, but still hugs the river closely with plenty of green space until you get to the Riverwalk at Jefferson Avenue. There are no cyclists permitted on the Riverwalk, but there is a bike lane on Jefferson Avenue and well-marked signs that will direct you to the continuation of the path via surface roads south of the Riverwalk at Vetarans park. From there on, the trail returns to much more greenway and river views all the way until you reach Ring Road, where you go a block west of the river to Knock Knolls Rd., where the adjacent trail will take you south to Knoch Knolls Park. (The trail is extremely well marked all the way along.) The trail crosses the west branch of the river, goes through the park and hits the DuPage River Sports Complex, a facility with baseball diamonds and tennis courts—and restrooms and water fountains. Cross Washington Street and you enter DuPage River Park, and the trail is now following the east branch of the river. 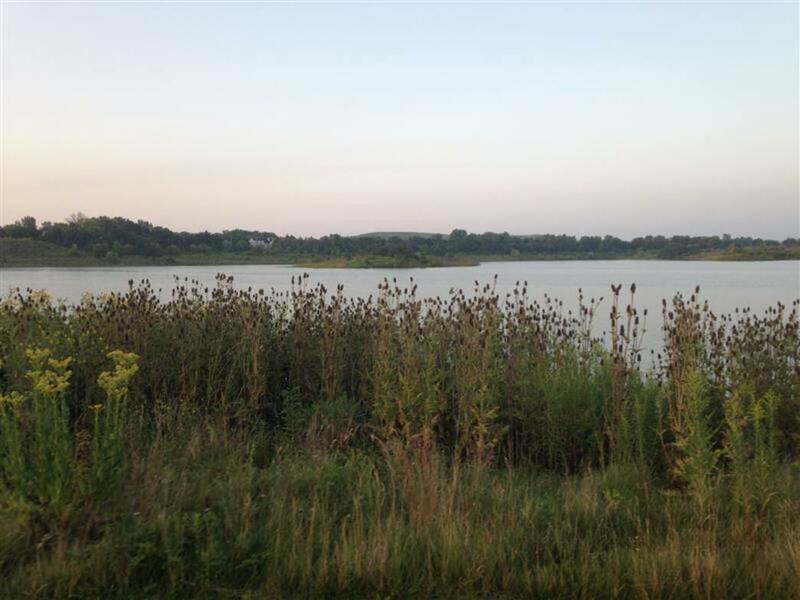 The trail continues through the park with lots of prairie landscapes until the next landmark, Whalon Lake, a manmade lake built from a former quarry that’s now a popular fishing destination. The trail takes a .7 mile loop around the lake, and ends. Here’s where you run into the dotted lines. Eventually the trail system will connect to the Green Valley Forest Preserve and then north all the way to the Morton Arboretum. You can certainly follow surface roads there. And some sections of the trail are finished. But it’s not like the west branch trails that are easy to follow. Finally, going back to Knock Knolls Park, the south part of the trail—the bottom of the Y—is not yet connected to the park. But you can pick it up at the Riverview Farmstead Preserve and continue south with some interruptions all the way to Joliet. Once again, the south section is more of a work in progress. But cyclists living in the area can certainly find worthwhile section to enjoy the river. 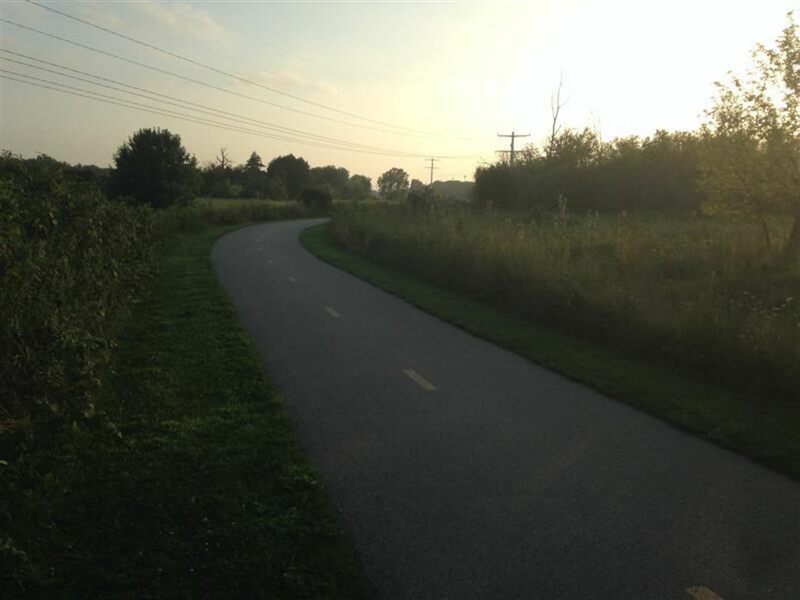 While it’s not yet 100 percent complete, the DuPage River Trail offers more than 12 continuous miles around Naperville, and many additional sections that will eventually be connected. You’re close to lots of amenities and yet surrounded by some great natural settings, particularly in the forest preserves on the west branch trail and the DuPage River Park on the East Branch. This is a trail for putting in miles. Familiarize yourself with the different sections and you’ll be able to tackle a 20 mile ride easily—and if you can double that with a little more work. There are countless places to access the trail along the route, or access the trail via the Illinois Prairie Path. 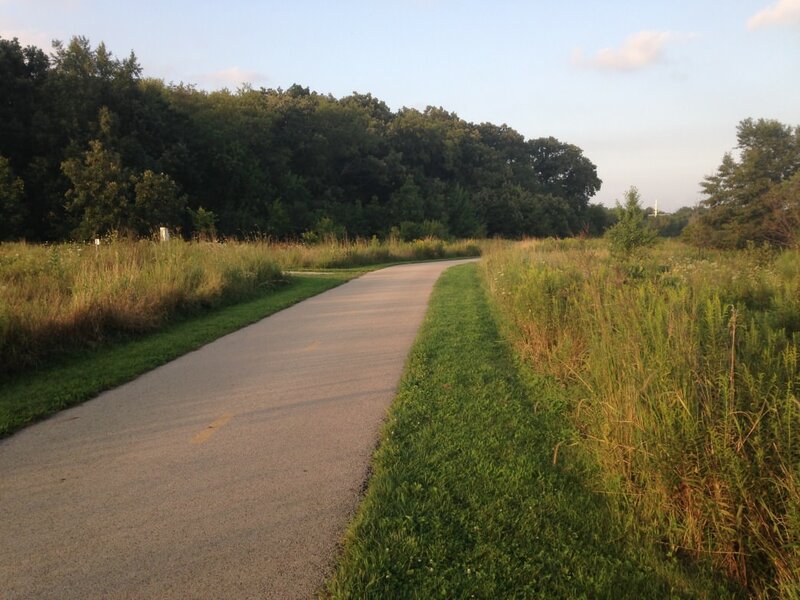 Have you ridden on the DuPage River Trail? What did you think? Leave your comments here or post a photo.